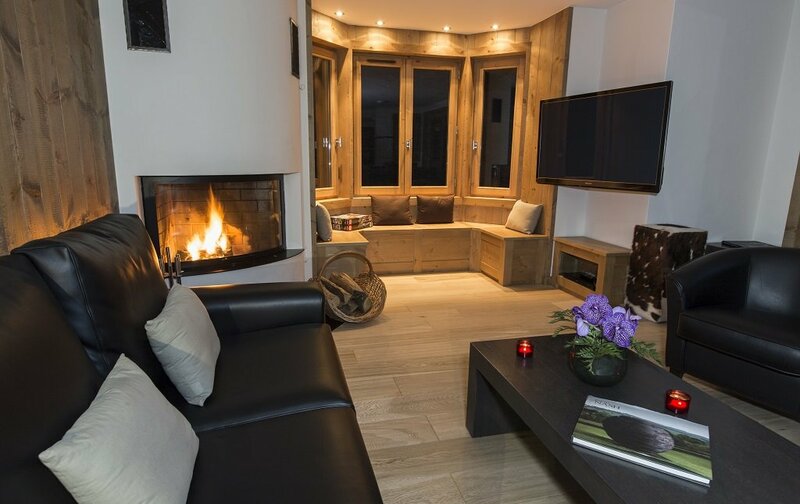 A gorgeous little catered chalet for just 4 guests in a super location. 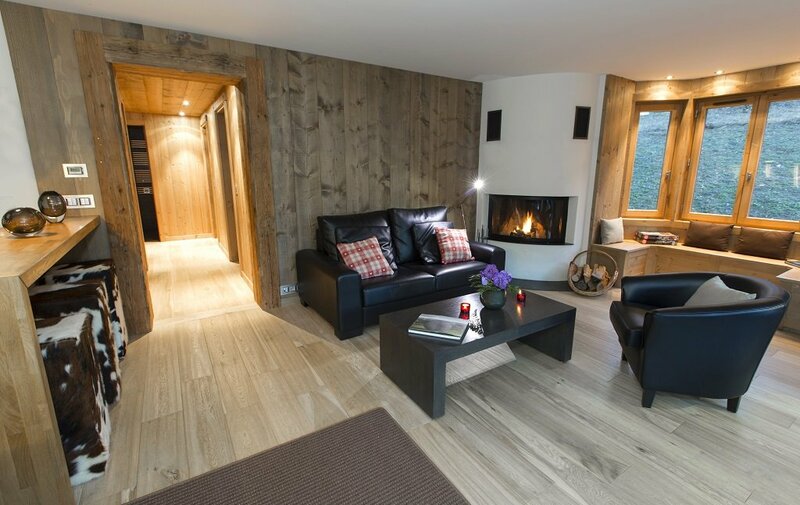 Chalet Blanchot is a rare beast, a very smart catered chalet for just 4 guests. 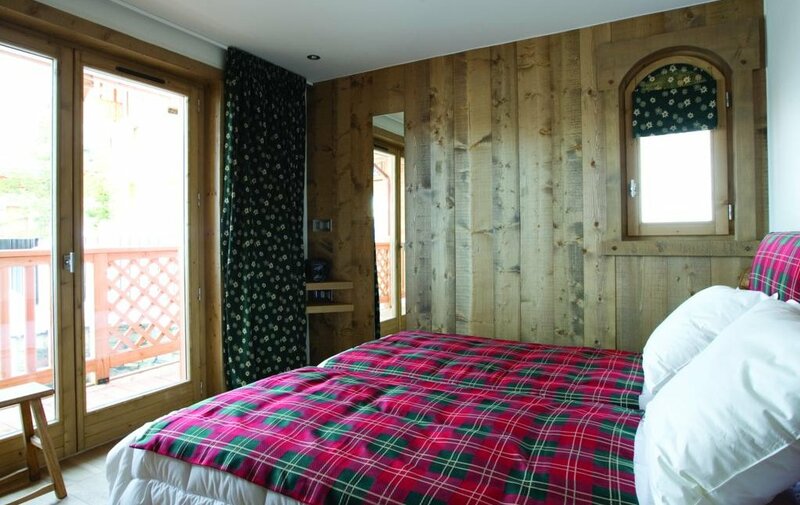 The chalet sleeps 4 guests in two twin rooms, both have their own balcony. The property itself is very high quality, well furnished and boasts super views from the open plan living and dining room. 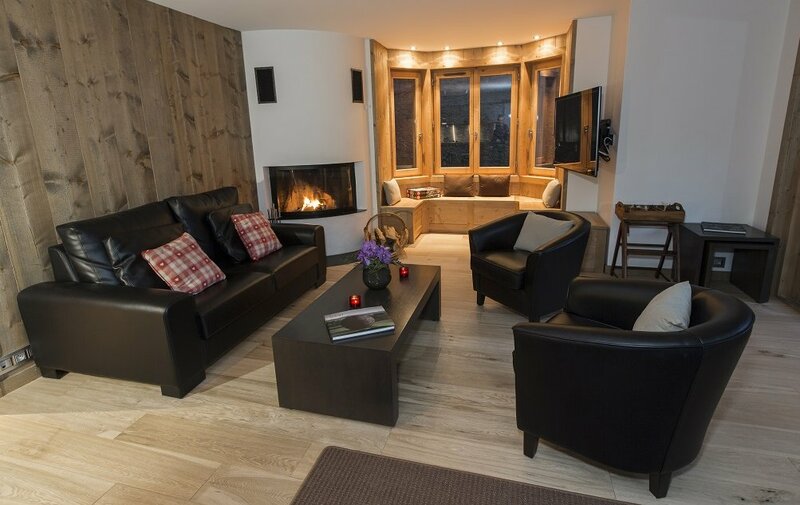 This is an exceptional chalet, we recommend you book up early. 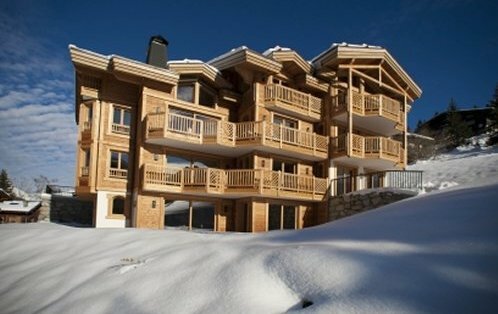 The chalet is located close to the town centre, 4 minutes walk from the town centre and ski lifts. Return flights from London Gatwick to Chambery. Please add £35 for Manchester to Chambery flights. Champagne reception with canapés on arrival, with Kir and canapés on Saturday. Once you’ve returned from your tough day on the slopes, homemade afternoon tea is served and favourites range from classic treats such as scones with cream and jam to squidgy brownies or raspberry and white chocolate cupcakes. In the evening we let the experienced hosts use their imaginations and the fantastic fresh produce we have to create a mouthwatering 3-course menu for the week. Children are equally well looked after. If you wish your youngsters to have an earlier tea – all homemade, fresh and nutritious, of course – then please get in touch in advance so the message can be passed on to your host. Special diets – please enquire for more information. Second floor: 1 twin room with private bath, basin and wc. 1 twin room with private whirlpool bath, basin and wc. Large lounge, kitchen and dining area with log fireplace. Large balcony. Free Lift Passes for Entire Group! For Christmas week and all four January departures (5, 12, 19 and 26 January) we offer a FREE 6-day Espace Killy or Three Valleys pass for everyone. To qualify for this offer, the full balance of the holiday must be settled before the 29th September 2019. This offer must be applied at time of booking, it cannot be added to existing bookings or retrospectively. It is also not redeemable in resort, it must be discussed at time of booking. Offer may be withdrawn at any time without prior notice. Please call for more details and full terms and conditions. 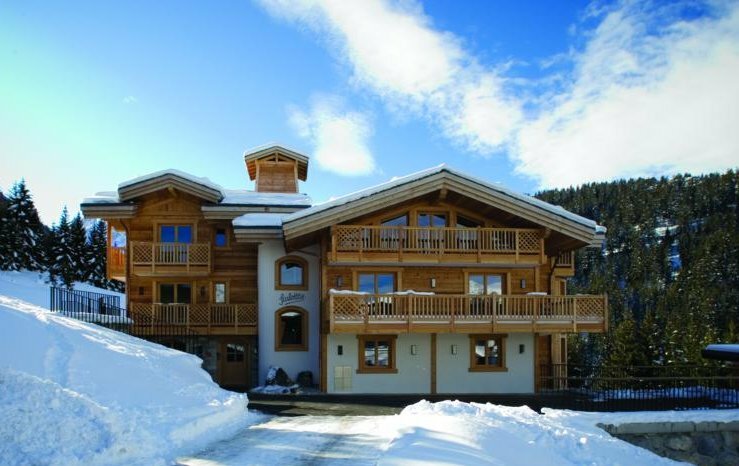 A super chalet, very smart with a convenient location. Book it quick! Alpenglow is a trading name of Alpenglow Travel Limited, Siddeley House, 50 Canbury Park Rd, Kingston upon Thames KT2 6LX. VAT no. 196 1009 09 Company number: 09126993 © Alpenglow Travel Ltd 2018. All rights reserved. 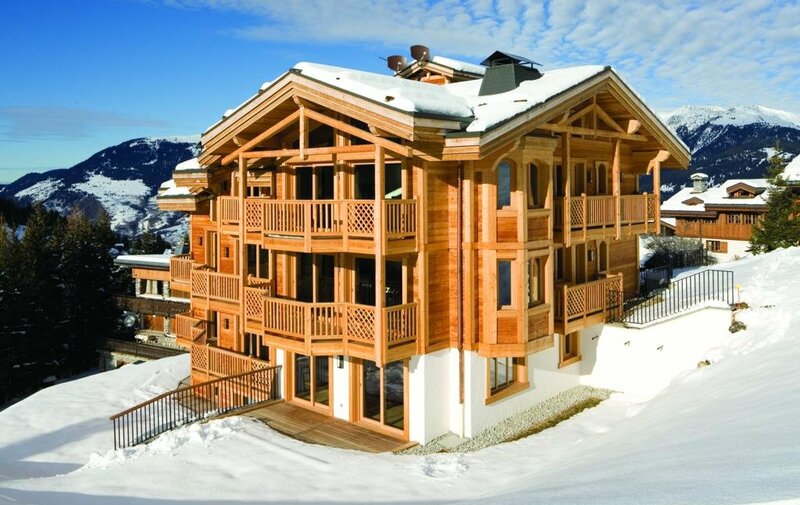 Enquire about this chalet Please wait... Thank you. We have received your enquiry and will respond shortly. Oops, there was a problem. Please try again. Some required fields were not filled out correctly and have been highlighted. Please check and try again.